Home » Outdoor & Gardening » Pumps & Pond Filters » SUBMERSIBLE SEWERAGE PUMP W/FLOAT V750F 750W 2"
SUBMERSIBLE SEWERAGE PUMP W/FLOAT V750F 750W 2"
This advanced V(WQ) series, a branch of single-phase and three-phase drainage pumps, will be your ideal drainage helper. The letter "V" which subsitutes for the letters "WQ" indicates the distinct design of the filter and the broadness of the high efficient area. It can work safely and efficiently at high flux with the feature of complete heads. The design is designed to a wide tunnel which helps to convey the solid whose diameter is about 20mm or the long fiber liquid (you need to change its filter net). 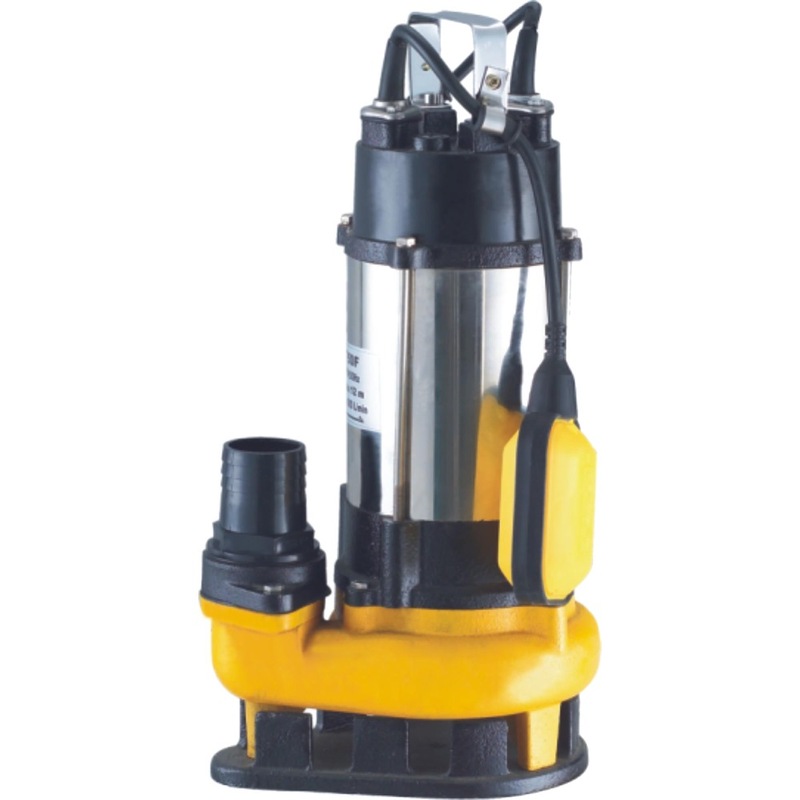 The selection of bottom suction structure, stainless steel and special cast iron make the pump has the capabilites of complete drain and high resistance of abrasion corrosion. The float switch can automatically control on and off with the change of the water level. The protector in the motor can automatically cut off the power when it overheated or overcurrented, thus gurantee the security and reliability of pump's run even in the atrocious environment.